Only nine cases of the viral disease have been reported this year. The ultimate goal of medicine is not only to cure, but to eradicate. Announcements celebrating breakthroughs in modern medicine, and stories that cite specific diseases disappearing from the face of the Earth are always a milestone and a cause for celebration. Well, another milestone is near. After decades of combating polio, the World Health Organization (WHO) is saying that only nine cases of the viral disease have been reported this year, and that the organization will completely eradicate the disease by early next year. This would make polio the second disease fully eradicated in humans, after the WHO declared smallpox gone in 1980. 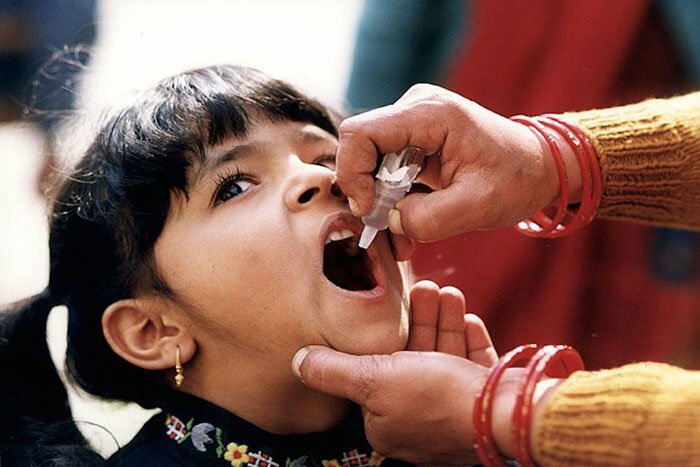 The global push to eradicate polio started in 1988, when as many as 1,000 children were becoming paralyzed daily. After an investment of more than $11 billion and the support of more than 200 countries, more than 2.5 billion children have been immunized against the disease. Polio is a highly infectious disease that spreads through human contact, mostly through stool. This makes toddlers not yet toilet-trained and people living in very underdeveloped areas susceptible to the disease. To prevent this phenomenon, a two-step synchronized event is planed. Earlier this week, oral vaccines carrying the bivalent version of the vaccine were used instead of the trivalent. This trivalent version has had no cases since 1999. After two weeks, the oral vaccine will be replaced with a version that is instead injected, to prevent vaccine-induced polio. What’s the next target after polio? It seems that guinea worm is nearing the chopping block, with only 22 cases reported in 2015. Hopefully, both will soon join the list of eradicated diseases, resulting in a healthier world.